Penang’s Monkey Beach, what we thought. The west coast of Malaysia is not renowned for its beaches and if you were coming all the way to Penang just for the beach then you really have come to the wrong place. 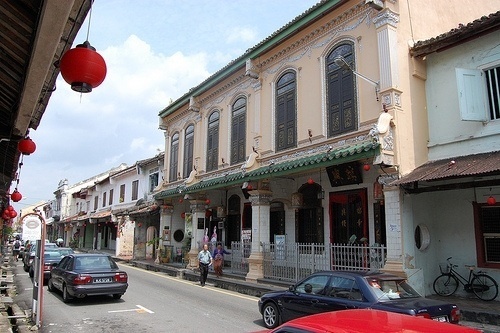 Penang is known more for its food and its Nyonya culture actually, the capital Georgetown is a world heritage city. 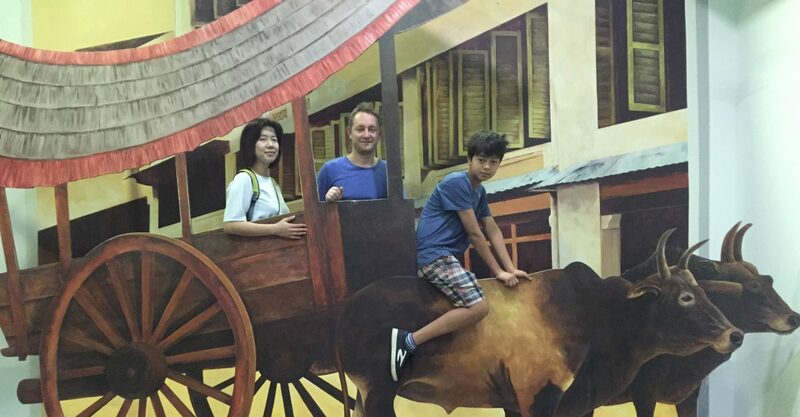 If you are with children or you just want to have a bit of fun after exploring the world heritage sites of Georgetown then why don’t you spend some time at the Penang 3D Trick Art Museum located in a two story shophouse in King Street. As we drove from the touristy built up beach town of Batu Ferringhi towards downtown Georgetown the scenery changed from jaded beaches, palm trees to simple local warung restaurants, high rises formed in the rich suburbs of Guerney Drive where the renown night market is held. The taxi kept driving and spotted amongst the buildings were our first signs of life under British rule pure white colonial style buildings built centuries ago now hosting restaurants, official offices and the grand E&O hotel. The taxi then came to an abrupt stop outside a long bricked wall which would be Fort Cornwallis built by the convicts in 1808-1810. The driver gruffly said 50 Ringett, a quick glance at the meter showed 35 before we got out. Melaka, if they conquered they would build it. Melaka located 2 hours, south of Kuala Lumpur earned world heritage in 2008, however you would not be able to tell from Melaka Sentral bus station. It looked like a typical Malay city the real gem is the old town, 4 kilometres away. 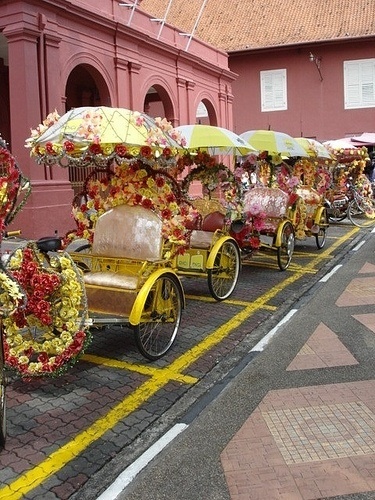 Melaka has a rich history with many historical buildings and culture still intact. 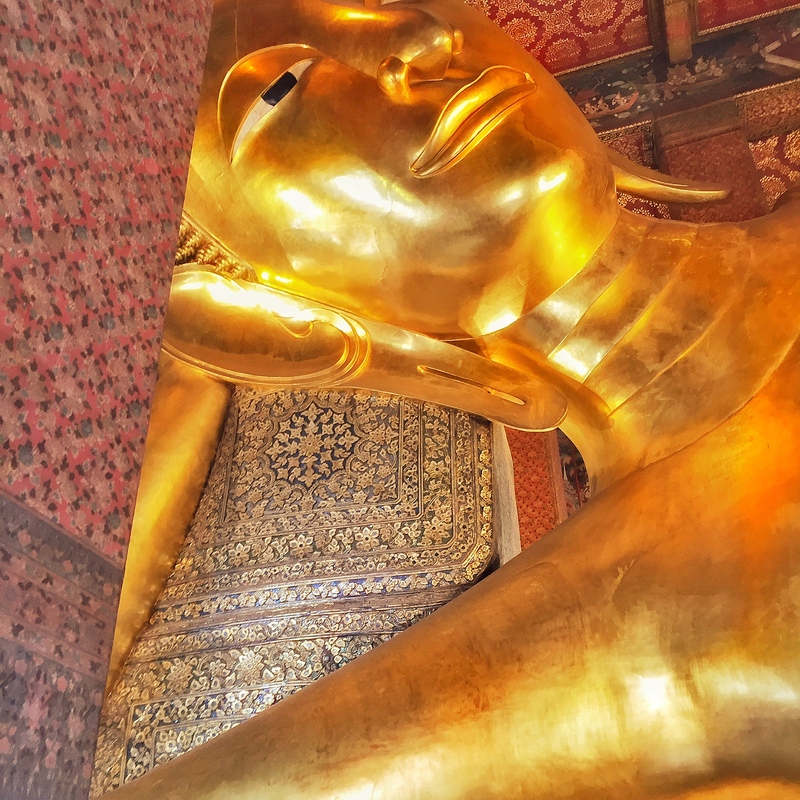 It is well worth the day trip from Kuala Lumpur. You instantly know you’re in the old town, the salmon pink buildings of the old Christ Church and the Stadthuys, the former administrative office of the Dutch Governor forms a charming square. Trishaws line the front, ornately decorated with plastic flowers, loud pop music blares, fans whirl while the drivers wait for customers. Malaka had been a simple fishing village until the arrival of the first sultan. It flourished into a port town before being ruled by the Portuguese from 1511, and then conquered by the Dutch in 1641. The Dutch held the city for 150 years then being passed onto the British before being once again handed back to the Dutch. When they conquered they built, the Portuguese built a fortress, A Formosa to defend themselves only to have it suffer severe destruction during the Dutch invasion only for the Dutch to rebuild it. The British destroyed it once again, before handing Melaka back to the Dutch. All that remains today is the gate. The Portuguese church was shattered only to be replaced by the Christ Church and the Stradthuys administrative center mentioned earlier in the blog. 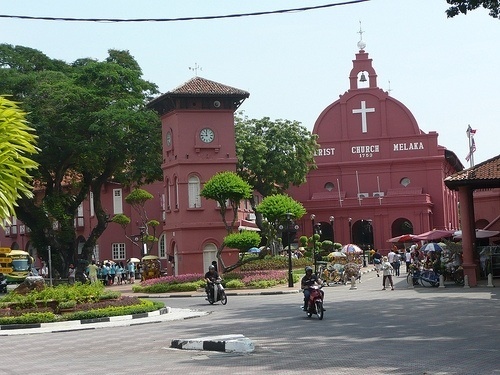 Christ Church is the oldest Protestant church in Malaysia. On top of St Paul’s Hill are the ruins of St Paul’s church, once the Portuguese Catholic church, then turned into a burial ground for the noble dead lead by the Dutch. 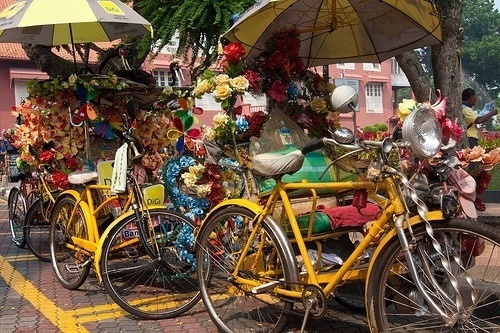 Walking down Jonker street and the surrounding streets changes from the historical European quarter to Chinatown. 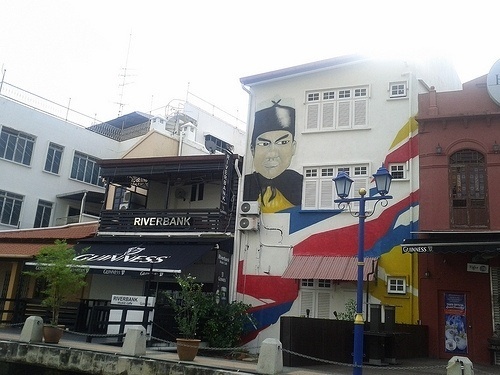 Jonker Street and the surrounding area were full of souvenir shops, restaurants, cafes serving local Nyonya food, temples, shrines and mosques filled the streets. 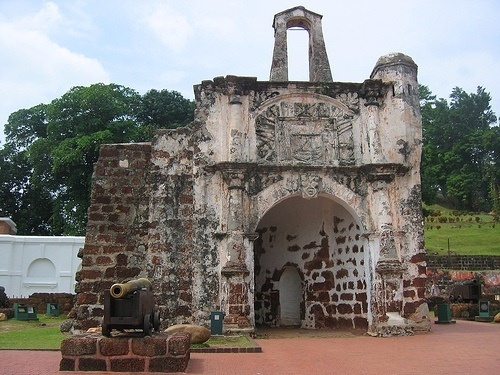 Melaka had been a quiet fishing village before the first sultan Parameswara arrived. Its fortunes increased once its official adaption of Islam in the 14th century. After the visit of Chinese Muslim Cheng Ho in the mid 15thCentury, contact between China and Melaka intensified. 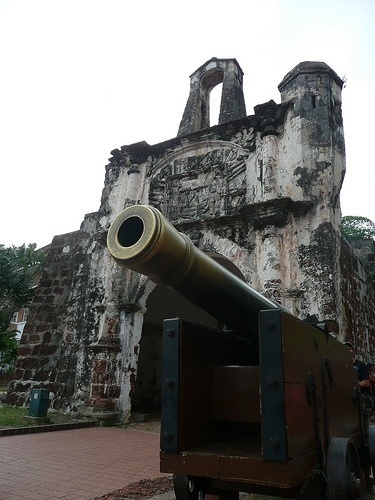 In exchange for protection against Siam (Thailand) Melaka became a vassal state for Ming, China. 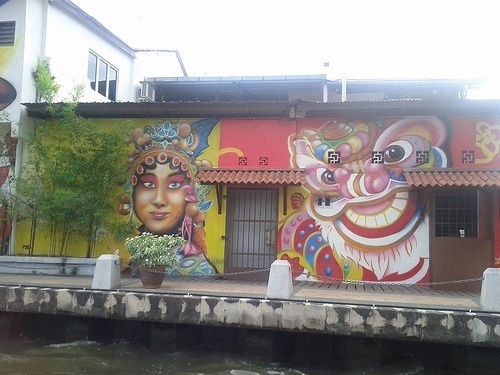 The Chinese came and merged with the Malakkan people, marrying, mixing cultures together forming what is known today as Peranakan, the women known as Nyonya and the men as Baba. While in Melaka make sure you experience Peranakan cuisine which combines Chinese, Malay and other influences in a unique blend. The food is tangy, spicy, aromatic and herbal. I sampled the shrimp sambal and it was devine. To fully understand the way Peranakan people lived. 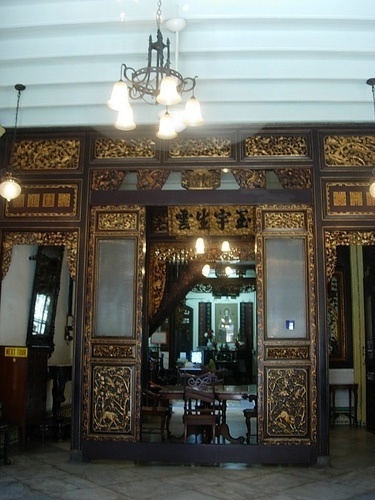 It is well worth visiting Baba and Nyonya Peranakan museum for 10RM a guide will explain how they lived and show you around their house. The day was extremely hot with a scorching sun we needed to wind down by relaxing on the river cruise. 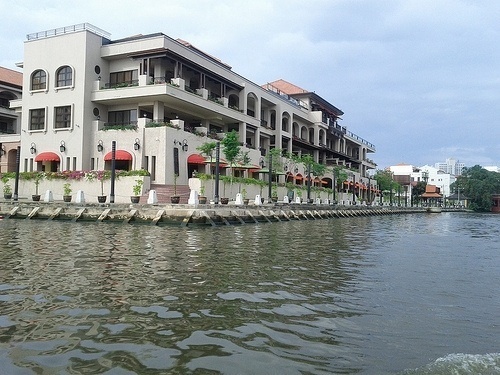 The boat floated down Melaka River which the town was originally built around in its golden era. The boardwalk follows the river, many people were taking a leisurely stroll, people were sitting at outdoor cafes, murals were painted along the walls. The boat glided along the water just beyond Kampung Morten, a group of traditional houses opened to the public. The boat circled around before heading back the way we came. Melaka though with all its good things has also made some horrible decisions. They moved the central bus station out of town and replaced it with a ferris wheel which they call the Melaka eye, they built the old style pirate ship that swings back and forth that was popular in amusement parks thirty years ago and they have a trampoline bungee all taking up prime land along the river. They have a defunct monorail system that doesn’t work and may never have been in operation and they have built a hideous, pointless revolving tower taking people for a seven minute ride 1 minute to ascend, 5 minutes to take in the scenery and 1 minute to descend. 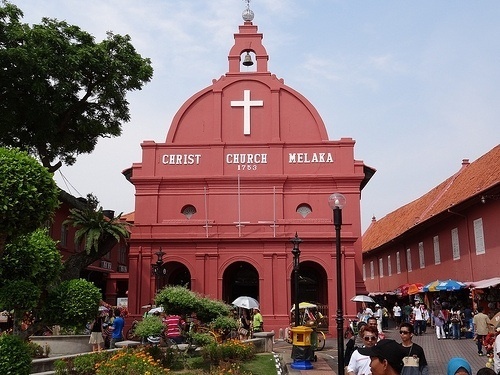 Whether you go to Melaka for a day or stay overnight there is something for someone to enjoy and with the European history and the foreign tourists that visit this one time I think it adds to the town. Langkawi has a reputation of being the best island to visit off the Malaysian Peninsula. Having been given UNESCO World Geopark status in 2007 for its forests, mangroves and Islands. In 1986, Prime Minister Mahatir Mohamad started to transform the island into a flourishing island for tourism with an increasing number of tourists coming each year. Langkawi is a duty free island. Earlier in a post we mentioned that we hired a taxi to take us around the island for four hours for the price of RM125 around $40. Langkawi doesn’t have public transportation so if you don’t have a car, then you are at the mercy of the taxis. Fortunately the taxis are quite cheap and we were only travelling to Langkawi for six days but for budget conscious travelers or people traveling for an extended period then this could be a costly experience. Berjaya Resort, where we were staying is located on the North West side of the island so we thought we would travel across to the North East side stopping at a few places on the way. 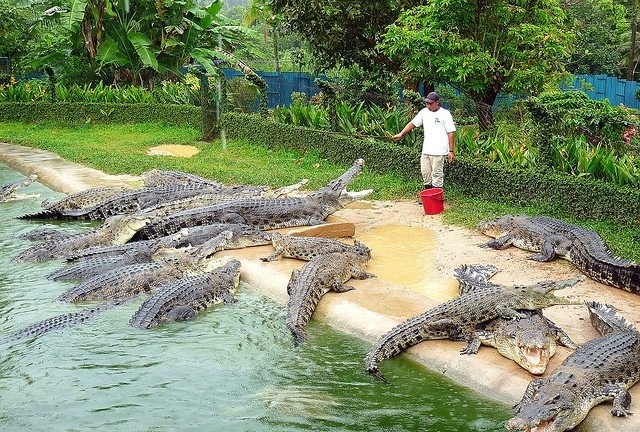 The first stop Langkawi’s crocodile farm. 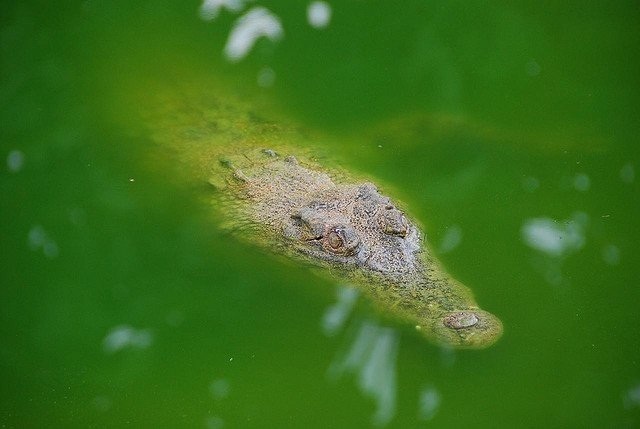 For an island that doesn’t have any crocodiles living in its natural habitat around Langkawi it sure has a lot of crocodiles with over 1000 crocodiles in the farm from juveniles to enormous adults. The crocodiles though were kept in rather small enclosures, some were deformed. We were caught by surprise by the grunting sound of two crocodiles we didn’t see them in the pen one was smaller and had intruded on the space of the much larger crocodile. It lashed out at the intruder. The smaller crocodile retreating. 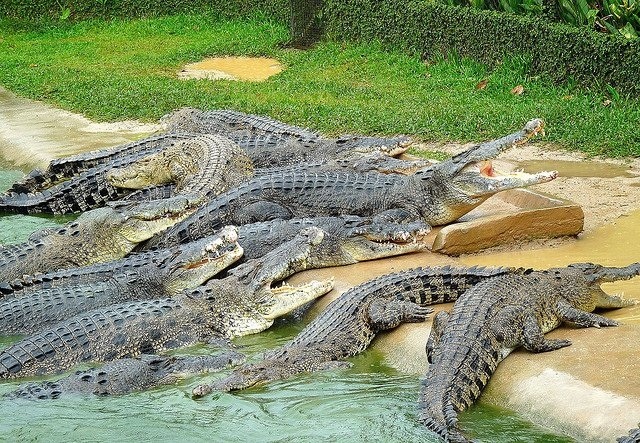 Some of the crocodiles had abrasions which were probably caused by other crocodiles. From the bridge crossing the major enclosure hungry crocodiles baked in the sun or lay covered in the shallow water only being separated by the rails gave an eerie feeling as a crocodile would occasionally swim by. Silent, not moving, eyes closed you would think they weren’t paying attention to the trainer as he threw chicken out to them but the sudden jerk of the head, jaws clamping shut on the chicken, you quickly realize that the reputation of the sly old crocodile is justifiably deserved. There is also a show but we did not see this. From what I have read though it wouldn’t sit well with us as trainers put their heads in the mouth of a crocodile, lay on top of them and pose and even have a boxing match if this is all true then we are glad we weren’t there. The shop sold bags and shoes made from crocodile leather. Looks like this place has other things on their agenda. If you want to know anything about the local craft scene then this is the place to go. The. 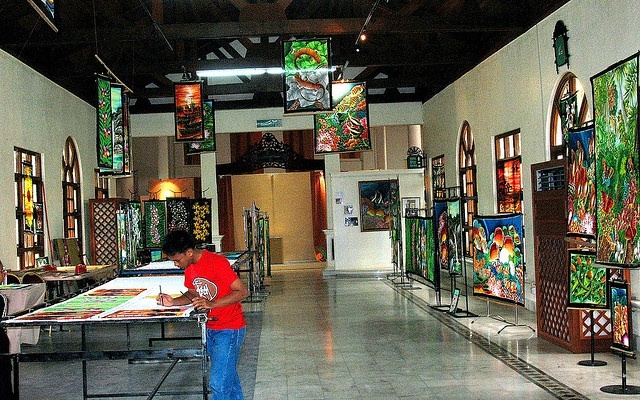 Langkawi craft complex showcases many of the traditional crafts of Malaysia. You can see textiles being woven, try your luck at batik art where you can take it home for rm28 and then witness the technique of glass blowing. 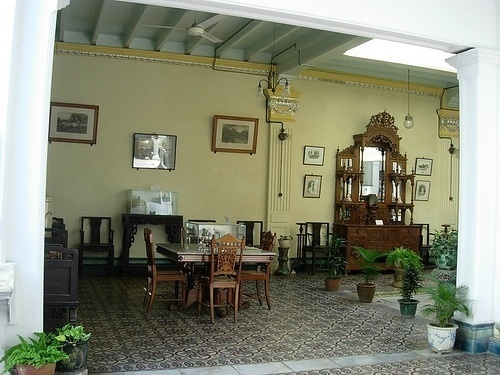 The complex also has two museums The Heritage museum and the Cultural’s and Wedding museum. Learn all about what happens at a Malay wedding just in case you happen to meet the girl of your dreams while lying on one of the beaches of Langkawi. Talking of beaches,we visited two while hiring the taxi spending time on The Black Sand beach and then the complete opposite in contrasts the sugar coated sands of the Tanjung Rhu beach which happens to be the best beach on the island. In the four hours that we had, we visited four places. Langkawi doesn’t really have any must see attractions, the island is more about the wilderness, the beaches,the forests but if you want to stray away from your resort or the crowds of Pantai Cenang then it gives you something to do and you can say you didn’t spend the entire time at the beach, pool or bar of your resort. Langkawi also has some good waterfalls worth going to but we were there during the dry season so we didn’t go thinking there wouldn’t be much water flowing.